I visited the Denver Botanic Gardens next to Cheesman Park in Colorado on a lovely spring day. They were having their spring plant sale and I got a hint of all the wonderful western, international and water gardens there. Right on the water in St. Petersburg Florida is a modern and unusual building. The surreal yet sumptuous architecture of the Dali Museum is worth the experience, no matter what's on display. But you'll want to stay for the permanent collection plus whatever they have in the temporary exhibit halls, too. 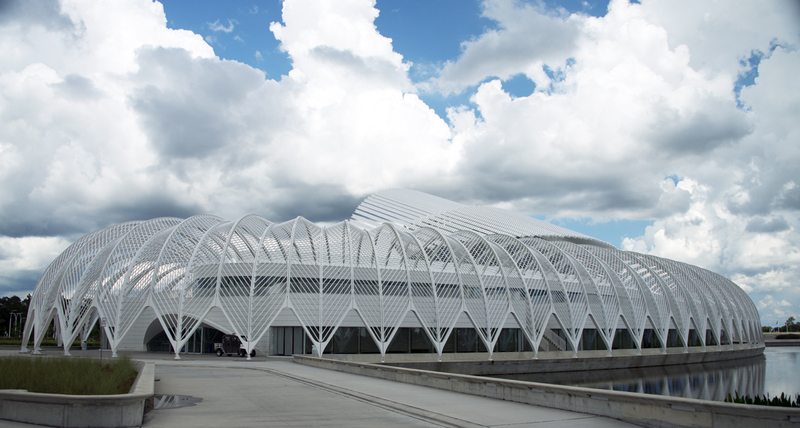 Florida Polytechnic University’s IST Building: Awe-Inspiring Architecture! This week I have a simply stunning piece of architecture to show you! It’s the Innovation, Science and Technology (IST) building at Florida Polytechnic University in Lakeland.